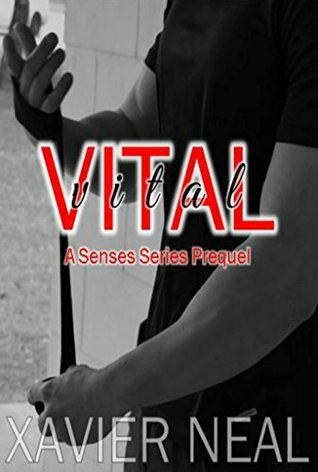 Review – Vital: Senses Series Prequel by Xavier Neal – 5 Stars!!! Get to know the sweet beautiful friendship between Logan Kellar and Maxx Hughes before they began their incredibly hot, crazy and romantic journey together. This was one sweet novella, one that has you falling in love with Logan all over again and reminds you of the dislike you have for one particular character in the Senses Series. The friendship that Logan and Maxx shared was unique; they shared a bond like no other they cared deeply for each other and understood each other. They were each other’s rock. What neither could see was how right they were for each other and just how deep their love went. We also get a glimpse into why Logan was the way he was and how he truly saw himself; I just wanted to hug him and help him see what was staring him in the face. Maxx gave us a glimpse into how she saw herself too and the little self-doubt she had in herself, she was stunning and beautiful inside and out, if I could have crawled into my kindle to help her see that I would have. Logan and Maxx were always meant to be and this is just the start of their enduring and magical journey. If you have read the Sense Series you need to read this prequel, it’s a perfect addition and a reminder of the Logan and Maxx we first met in Blind. If you haven’t read the Senses Series than I suggest reading Vital first as it may give you that little extra insight into the unique duo that is Logan Kellar and Maxx Hughes.